Have you ever testified at the State House before? Anyone can do it, and it’s one of the most powerful forms of free speech we have. 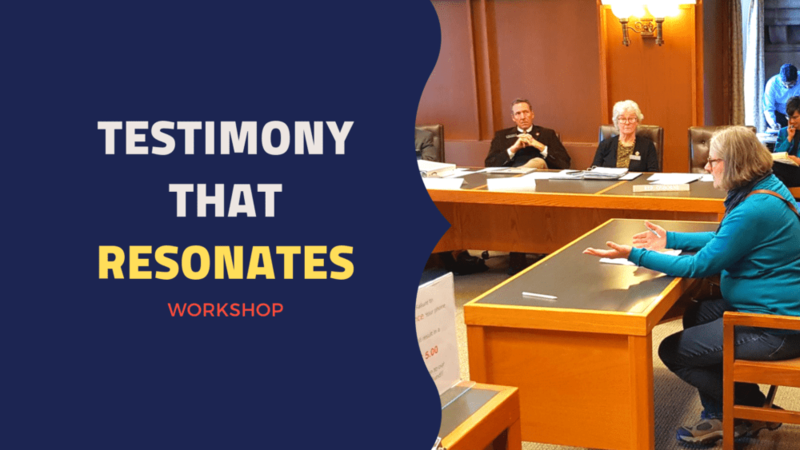 In this workshop we’ll practice crafting and delivering testimony that is strategic and actually shifts legislators’ views. Arnie Alpert of American Friends’ Service Committee will explain why delivering testimony is important and how it’s done. He will share stories of successful testimony given during the recent hearings for the death penalty repeal and immigration rights bills. Then public speaking expert Linda Carmichael will help us think about the structure and delivery of cogent testimony. We’ll spend time digging into speeches and practicing strong delivery. Feel free to bring your own speech, but we’ll have some on hand as well.